RAPSEASON is proud to present SEAN LEON at The Opera House at an all-ages show Thursday December 6th, 2018. Toronto artist and record producer, Sean Leon, started his music career in 2013 when he dropped his first mixtape, Ninelevenne, the Tragedy. Since then he has gone on to release 5 more albums and mixtapes. During that time, he has worked with producers; Jordan Evans, WondaGurl, Jovi and Jack Rochon and collaborated with Daniel Caesar on a single titled Matthew in the Middle. Sean Leon is one of the only truly independent artists without any industry support, to come out of Toronto. As part of his learning process in the music business, he started the IXXI Initiative, where he put together a group of creative people who have the initiative to do things independently and one of the first artists to join this collective was Daniel Caesar. Their creative synergy continued when Sean Leon was a surprise guest for Daniel Caesar’s 5-show run in Toronto last year. 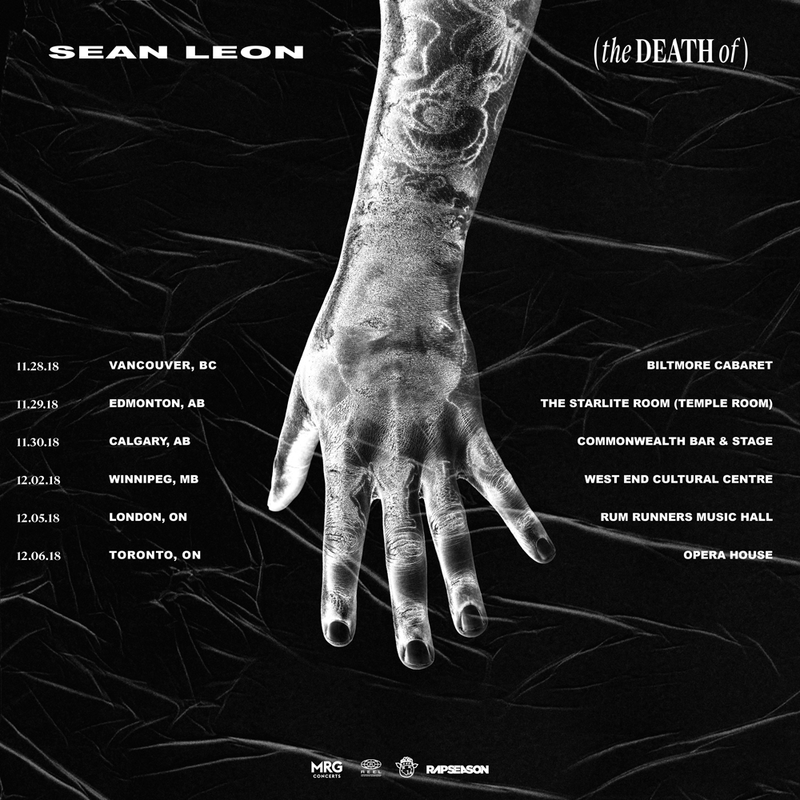 Sean Leon is excited to start this new tour in support of his latest project SEAN LEON (The Death Of) which was just released a few weeks ago. HipHopCanada stated that “Sean Leon is without a doubt one of the hottest artists coming out of Canada right now.” The future looks bright for this young artist and should be one to watch.